The power of good illustration is underestimated by many. A couple of weeks back, I came across an illustration of a sweet looking dog in his hat and I was smitten pretty much instantly. 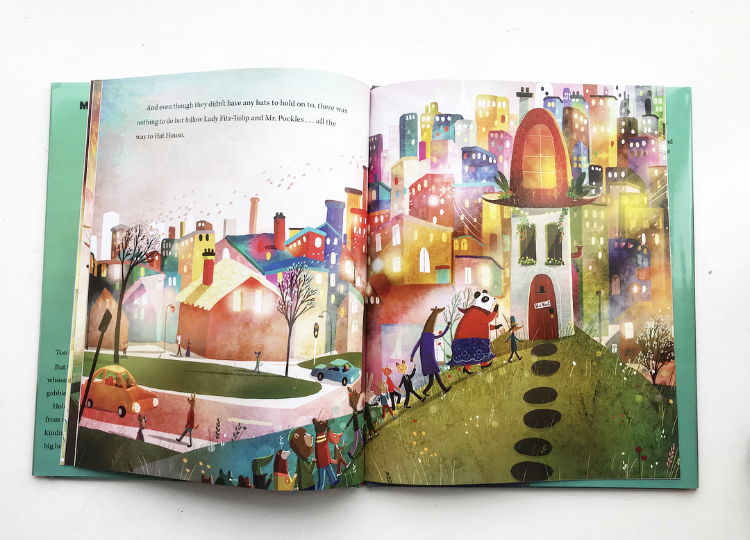 This was from the book Hats off to Mr Pockles written by Sally Lloyd-Jones, illustrated by David Litchfield and published by Penguin Random House. Dear Mr Pockles loves his hats, he has a hat for every occasion, even an Eating his Cornflakes Hat!! I particularly love his Going to Bed Hat. But poor Mr Pockles hasn’t had the opportunity to wear all his hats, in particular his very favourite and best hat of all. He’s a little lonely and a little unfulfilled. 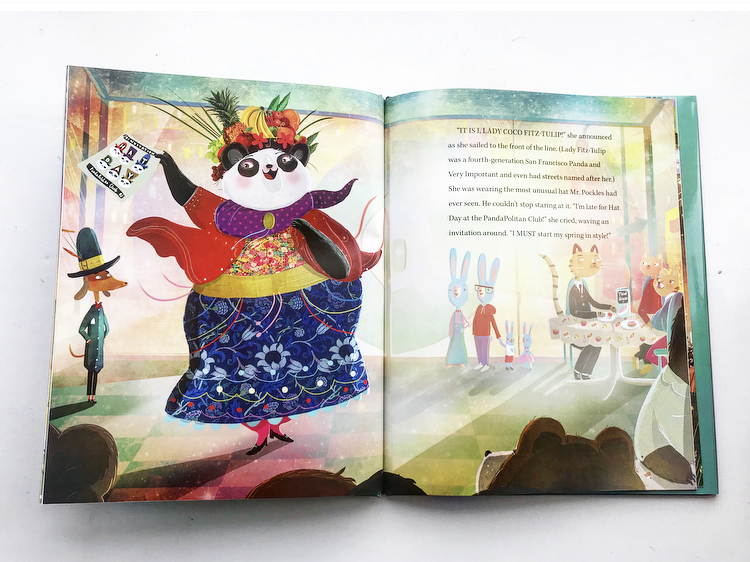 However, along comes Lady CoCo Fitz-Tulip–a Very Important Panda into the cafe one day, wearing her best hat for the exclusive Hat Day at the PandaPolitan Club. Her favourite hat is admired by all, until it’s eaten by some confused little bunnies. Lady CoCo is devastated to have her beautiful hat destroyed. Kindly Mr Pockles steps in and offers her his most favourite hat, as he realises he’ll never get the perfect occasion to wear it himself. Through this act of kindness, Mr Pockles not only gets to go to the Hat Day after all, but he learns the value of sharing and makes a whole new heap of friends. This is the most lovely, heart warming story about friendship, inclusion and sharing. It’s really beautifully written, with a lovely, gentle voice. It’s a slightly longer picture book story which is fab as it makes for a slightly more substantial read for older children, but the story is engaging and simple enough to also suit younger readers, perfectly pitched. You can’t help but love all the characters in the story, but in particular Mr Pockles is just adorably sweet, quirky and kind. 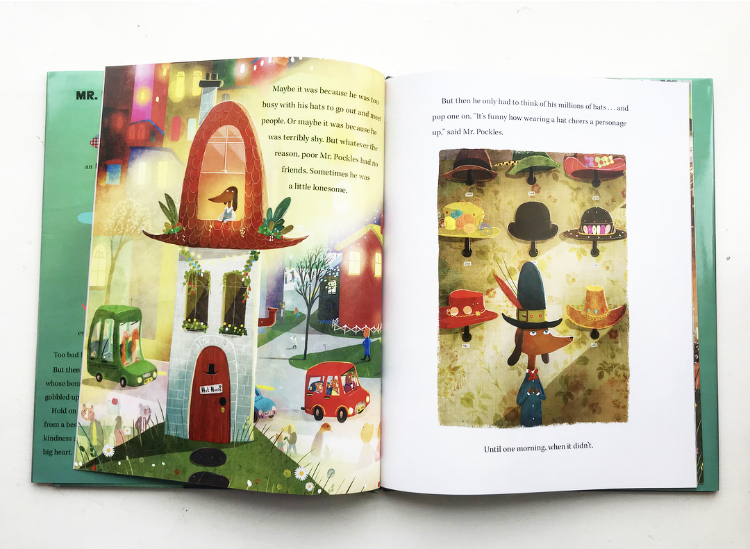 He is a little bit different with his obsession with hats, but that is embraced and loved and this is such a nice message to give children about embracing their own interests. Everyone in the story has an immensely kind heart and that’s a win for me! David Litchfield’s illustrations here have his usual fantastically inimitable style, Mr Pockles is such a sweet looking character that you can’t help but love him and the hats are just wonderfully creative and colourful, David brings stories to life so exceptionally well. The colour choices are bright and beautiful, and the scenery full of careful lighting which give them a magical feel. 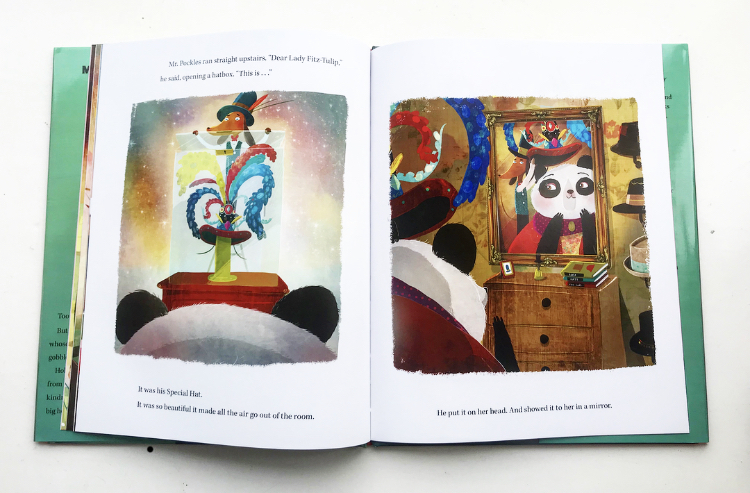 The illustrations are spectacular and bring out all the joy and character of Sally’s charming words. Hats off to Mr Pockles is one of those wonderful multi-use books. Perfect for storytime (we can make our own hats), for teaching empathy and inclusion, the importance of friendship, great with school classes and of course the perfect bedtime story. I defy you not to fall head over heals for the scrumptious Mr Pockles and friends. 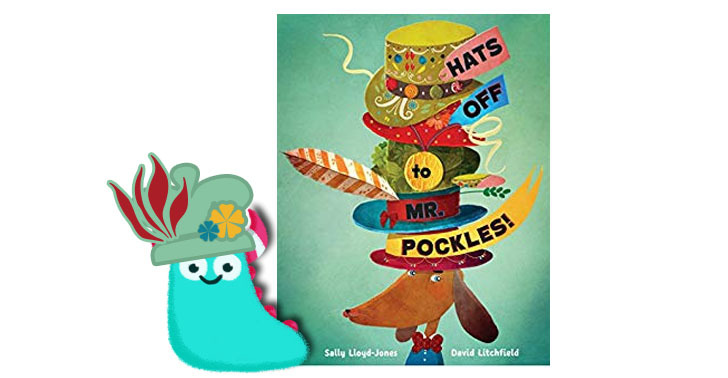 Hats off to Mr Pockles is out now and available from all good book shops and libraries. Huge thanks to David for sending me a copy of this lovely book, and thank you for reading this Book Monster review.